Dedicated Instances are Amazon EC2 instances that run in a VPC on hardware that's dedicated to a single customer. Your Dedicated instances are physically isolated at the host hardware level from instances that belong to other AWS accounts. Dedicated instances may share hardware with other instances from the same AWS account that are not Dedicated instances. Pay for Dedicated Instances On-Demand, save up to 70% by purchasing Reserved Instances, or save up to 90% by purchasing Spot Instances. You can also use Dedicated Hosts to launch Amazon EC2 instances on physical servers that are dedicated for your use. Dedicated Hosts give you additional visibility and control over how instances are placed on a physical server, and you can reliably use the same physical server over time. As a result, Dedicated Hosts enable you to use your existing server-bound software licenses like Windows Server and address corporate compliance and regulatory requirements. Visit this page to compare Dedicated Instances and Dedicated Hosts. Pay only for what you use with no long-term commitments. Dedicated Instance pricing has two components: (1) an hourly per instance usage fee and (2) a dedicated per region fee (note that you pay this once per hour regardless of how many Dedicated Instances you're running). $2 per hour - An additional fee is charged once per hour in which at least one Dedicated Instance of any type is running in a region. Spot instances allow you to bid on unused Amazon EC2 capacity and pay by the hour. Dedicated Spot instances have the same price as standard Spot instances. Click here to learn more about Spot Instances. Dedicated Reserved Instances provide a capacity reservation so that you can have confidence in your ability to launch the number of instances you have reserved when you need them. Dedicated Reserved Instances also provide you with a significant discount (up to 75%) compared to On-Demand instance pricing. Click here to learn more about Reserved Instances. * Prices based on 30 day month. Note: The Asia Pacific (Osaka-Local) region only offers Reserved Instances and Spot Instances. On-Demand instance prices in the Asia Pacific (Osaka-Local) region are for reference and only apply when Reserved Instances expire and are not renewed. 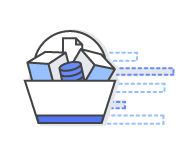 For Reserved Instance pricing and volume discount information, please visit the Amazon EC2 Reserved Instances page. Select "Launch Instances Into Your Virtual Private Cloud"
In the "Request Instances Wizard", modify the instance tenancy from "Default" to "Dedicated"
The AWS Management Console is an easy tool to start and manage your instances. 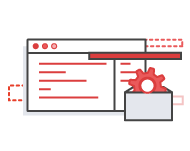 If you are looking for more details on launching an instance, a quick video tutorial on how to use Amazon EC2 with the AWS Management Console can be found here. The complete AWS Service Terms can be found here.